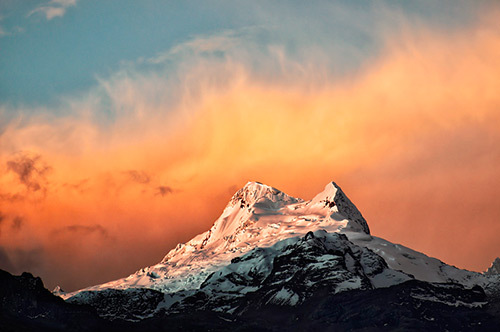 Is a nice small mountain for first ascend and to get a good acclimatization, and to get views .the climb is very easy is not technical located of the head of Cayesh valley in the Cordillera Blanca. 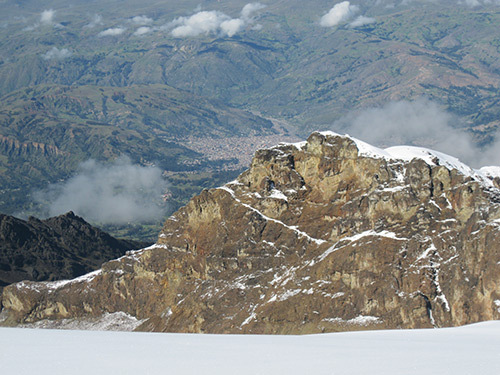 Day 1: Huaraz 3,090m. 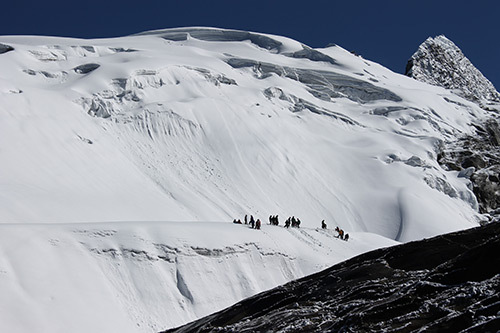 – Quilkayhuanca – Base Camp Maparaju 4,400m. After the breakfast in the Hotel we will take a private bus to Qillkayhuanca; we will leave from Huaraz to the east side, arriving to the Quilcayhuanca entrance at 10:00hours approximately, from here we will start hiking to Base Camp for about 3 hours half approximately, at 12:00m we will have a lunch, after that we will continue hiking up to Base Camp of Maparaju. After the breakfast in the morning we will start climb at 3 am. After to climb 3 hours approximately. 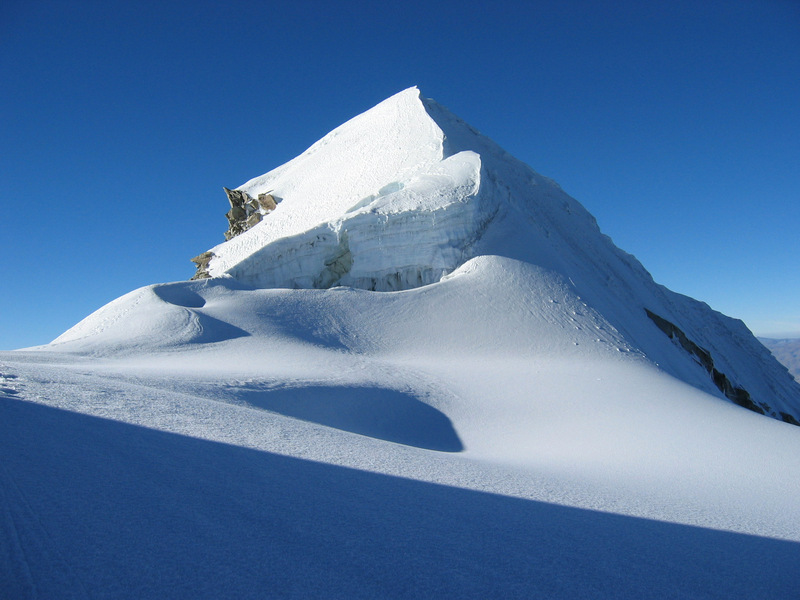 We will get the glacier where we put on our mountain equipments to start ice climbing. After two hours we will get summit.